Come see the great Black History Month display created by members of the Southern Dutchess NAACP! Click on the logo for more information about the SDNAACP. Make an appointment for free tax preparation and free e-Filing! This volunteer-run tax preparation service is offered to low- and moderate-income (under $50,000) taxpayers. CASH stands for Creating Assets, Savings and Hope! The CASH Coalition is a group of local organizations working to help you at tax time. 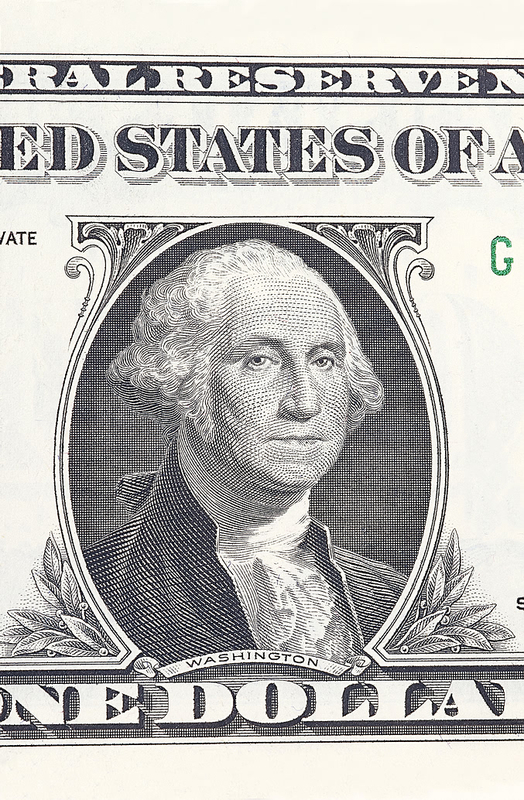 George Washington to visit CASH! HPL music CDs are now on loan for one week. The shorter loan should get new CDs to you faster. Tip: Today's hot CD may be tomorrow's cool -- but no longer in demand -- CD. Browse our CD shelves online, to see what's available. Click "Advanced Search" on the bar. In the top "Any Field" box, type an * (asterisk) . Under "Material Type", select Music CD. Then click the black Submit button at left. You'll retrieve a list of almost 1,000 music CDs. but they ain't dead, yet! Artists, Musicians and Authors -- Oh My! Fun events for toddlers, children & teens. Proceeds benefit HPL children's programs. Check the above site in case of bad weather. HPL is open on 2/21 for this event only. Stuck in the house too much this winter? Join us at HPL each Tuesday in February from 2 - 3pm to sample a different exercise DVD. Come to one event or come to all! These events are free; no registration required. Wear comfy clothes and bring a towel to these self-run, just-for-fun events. Water bottles provided. No equipment needed. Light hand weights recommended for Fit & Strong. Don't forget to check out HPL's selection of exercise DVDs. The American film, 84 Charing Cross Road, is about two lifelong friends who never meet. Based on a true story, this is a not-to-be-missed comedy-drama. Its star-laden cast includes Ann Bancroft, Anthony Hopkins and Judi Dench. Refreshments always include a delicious culturally-matching dessert made by the incomparable Ai-Ping Ma. This event is free and no registration is required. Doors open at 6:30 and film starts promptly at 7:00. This month's selection is The Brief Wondrous Life of Oscar Wao by Junot Diaz. Get to know the overweight romantic nerd that is Oscar Wao. New participants are always welcome! For more information about these and other programs for adults, contact Alison Herrero, Adult Services Librarian at 831-1134, x105. Deadly Book Launch at HPL! Join local author Julie Chibbaro at our book launch celebrating the release of her new young adult novel, Deadly, on Saturday, February 26th from 2 - 4 PM at HPL. All ages are welcome to this free event. No registration is required. Events include a talk and reading by this award-winning author, and a pictorial presentation by the book's illustrator, Jean-Marc Superville Sovak. Enjoy the lilting music of Madera Vox. Fun, free raffles, book signings and refreshments round out this special event. The opportunity to purchase a copy of Deadly will be available thanks to Oblong Books and Music. Due to be released in February 2011 by Atheneum/Simon & Schuster, Deadly is an historical novel based on the true story of the hunt for Typhoid Mary. Mary is an Irish immigrant who has worked as a cook in every home the fever has ravaged. Strangely, she hasn't been sick a day in her life. The question is: How do you capture an invisible killer? Young Prudence Galewski aims to find out. A sought-after speaker, Ms. Chibbaro is author of the novel Redemption, winner of the prestigious American Book Award. Click on the book above to learn more about Julie Chibbaro, watch a Deadly video trailer, read a Deadly excerpt, find interviews and information about Ms. Chibbaro's writing. For more information about the book launch contact Alison Herrero, Adult Services Librarian or Ginny Figlia, Youth Services Librarian at (845) 831-1134. Click below to see more HPL events. Make February a Month for Love, Wellness & Togetherness! LoriAnn of Hearts to Heaven will introduce her unique yoga and meditation program to children and accompanying adults. Yoga is a superb form of physical exercise balancing strength, flexibility, endurance, relaxation and stress management. Yoga is particularly helpful for children who struggle with any kind of anxiety, learning challenges, or ADHD. This fun, age-appropriate class is very child/adult friendly! Class size is limited. In order to support a program such as this one, a suggested donation for all 4 sessions is $40 per child/parent ($10 each for additional children) due at first session. Parents/guardians must register in advance with Ginny Figlia. For more information, contact Ginny at 845-831-1134 ext. 103 or EMAIL GINNY . There's so much going on at HPL right now, it's hard to know where to begin. Maintaining services, programs, collections, and our aged facility while experiencing major decreases in funding is a challenge. But the library board, staff, and our wonderful volunteers and Friends are rising to the occasion despite miserable weather and some technical difficulties along the way. On February 2nd, Groundhog Day, Punxsutawney Phil didn't see his shadow, meaning that spring is on its way. If by spring, he meant freezing rain instead of snow, perhaps he's on to something. We're working on our budget, as well as working with our library system to increase free access to e-Books and other technologies and working on grants (and fundraisers) to keep library summer reading programs fun for readers of all ages. We're going with the groundhog, and moving forward with our plans for spring, and if spring isn't early, it will still be most welcome when it comes. L to R: Ann MacLeod,Vice-President; Dale Leifeste; Patricia Hasapis; David Lemon; Karen Palumbo; Gail Robinson; Marcia Frahman, President; Gary Barrack, Treasurer; & Prudence Posner, Secretary.